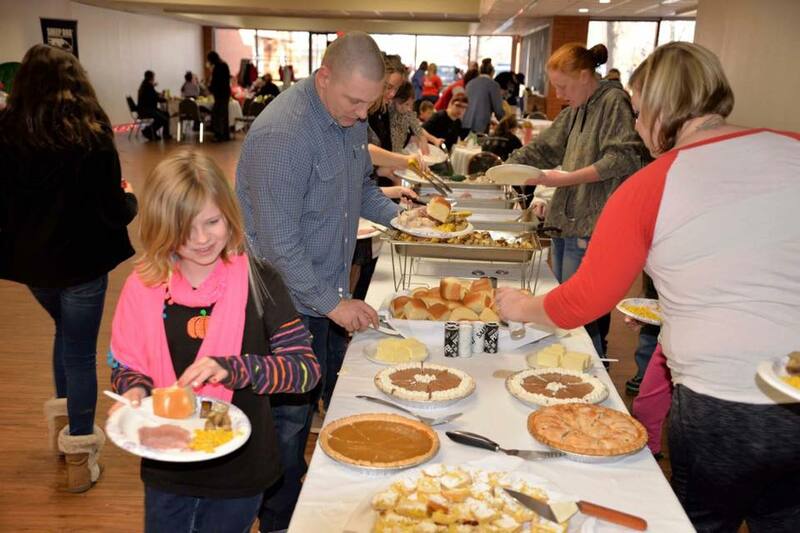 This year’s Christmas Outreach program far surpassed our expectations, both in the number in need and the overwhelming generosity of our supporters. 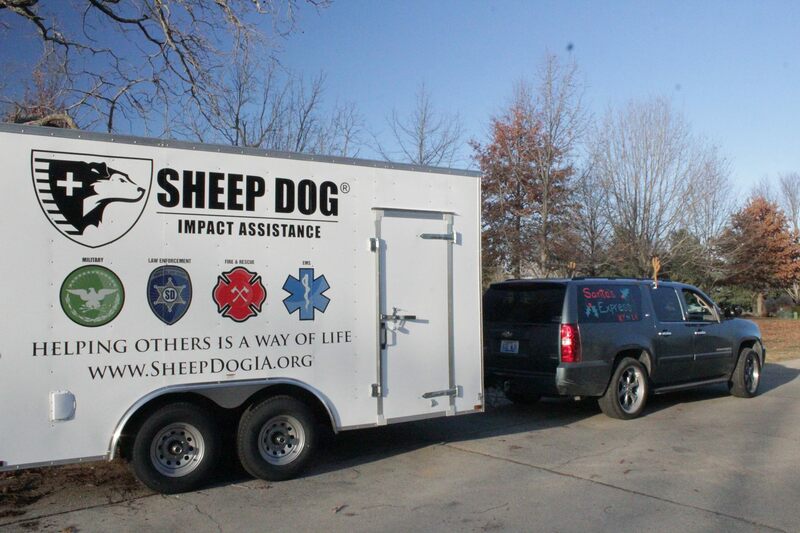 When all the gifts were wrapped and delivered, SDIA Chapters and Teams provided gifts for more than 400 children of Sheep Dogs in need this holiday season. Words are inadequate in expressing our gratitude for every one of our sponsors, members, volunteers and supporters who contributed to this effort. 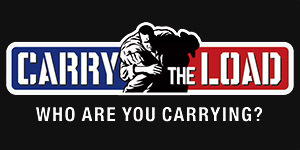 We could not help these heroes and their families without YOU…THANK YOU! 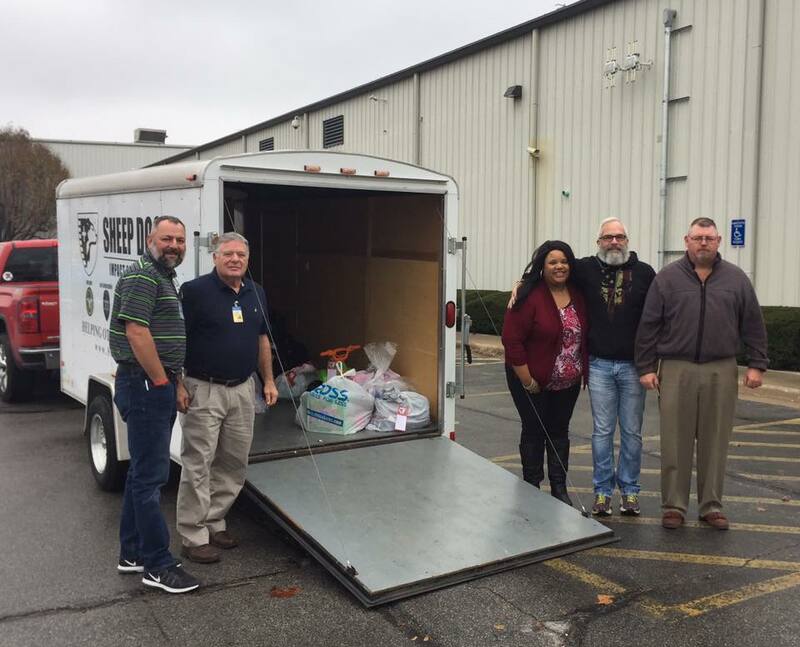 During the first part of December, the Northwest AR Chapter was busy collecting donations for its Christmas Outreach to give to the children of Sheep Dog families in need a merry Christmas. 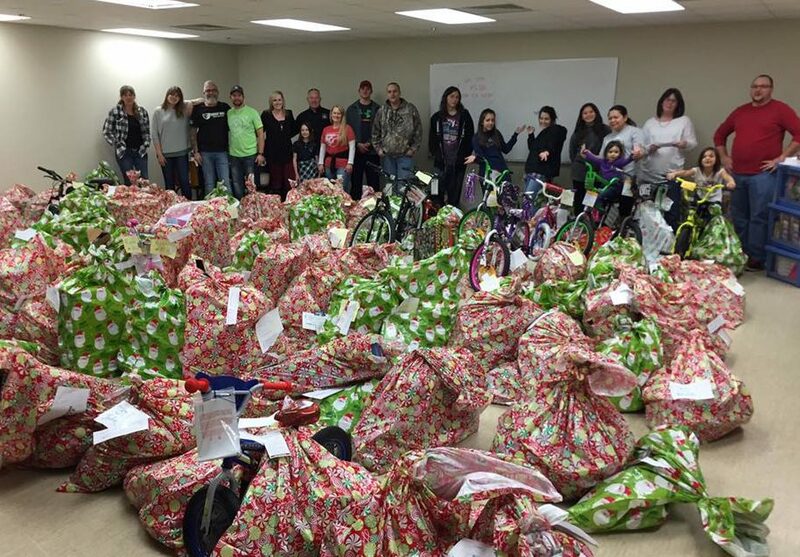 Once collected, Walmart’s Marketing & Development Team got the items organized. 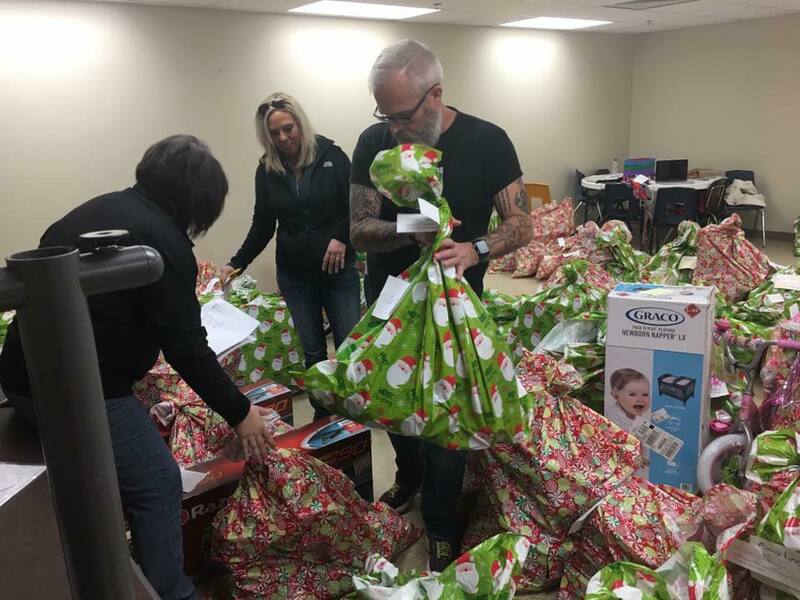 The next day, SDIA volunteers put together gift packages for more than 150 children – and Walmart’s Print Solutions Center adopted an additional 25 children. Thank you, Walmart! 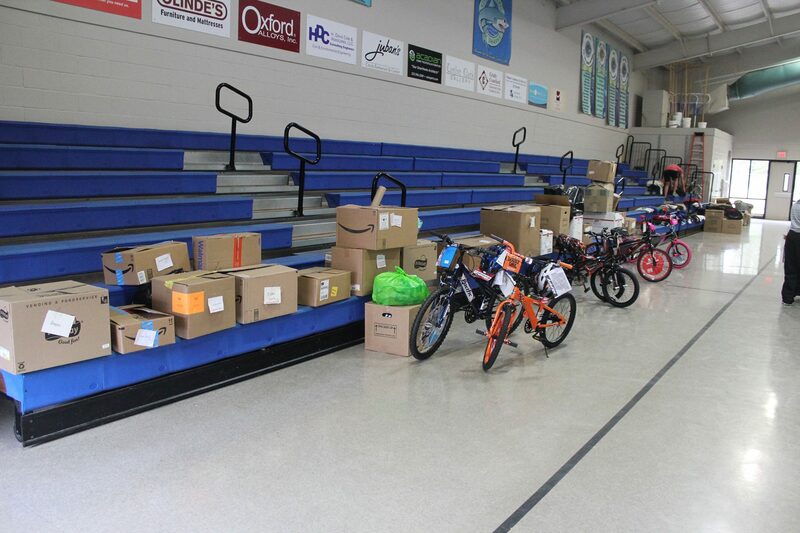 Our heartfelt thanks to all those who helped with our Christmas Outreach program. We couldn’t do any of this without our amazing supporters – THANK YOU! 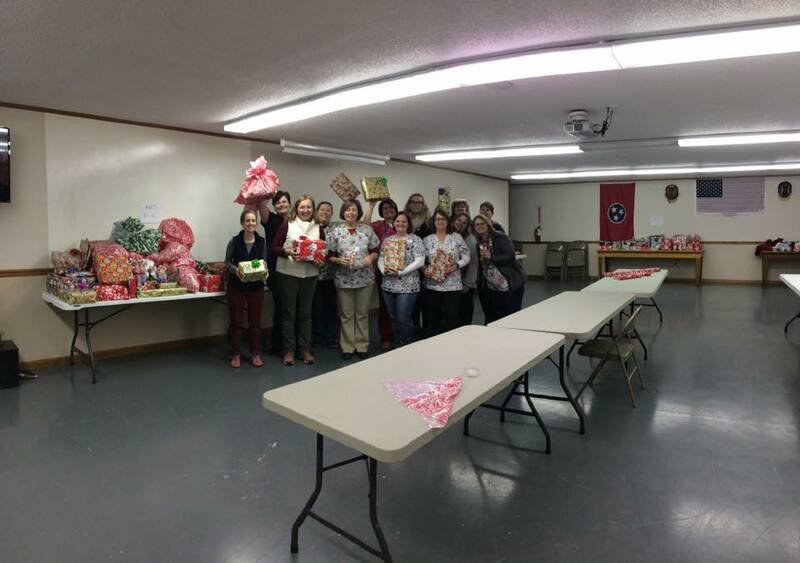 Visit the NWA Chapter’s Facebook page to see more photos from their Christmas Outreach and other efforts. 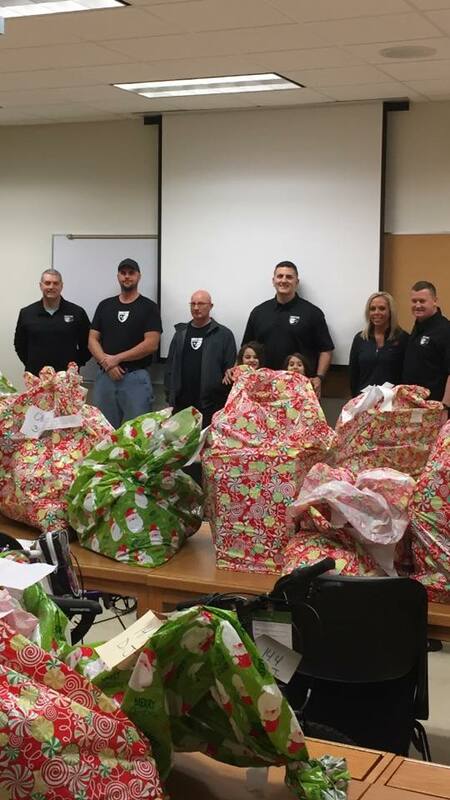 Following the wildfires in the Gatlinburg, Tennessee, area, the Eastern TN (ETN) Team joined forces with the Piney Flats Fire Department to give 100 children of Gatlinburg Fire, Police and EMS personnel a merry Christmas. Some of these first responders had lost their own homes while fighting fires, searching for those in need, and saving lives. One passed his burning house several times while he worked as a paramedic. 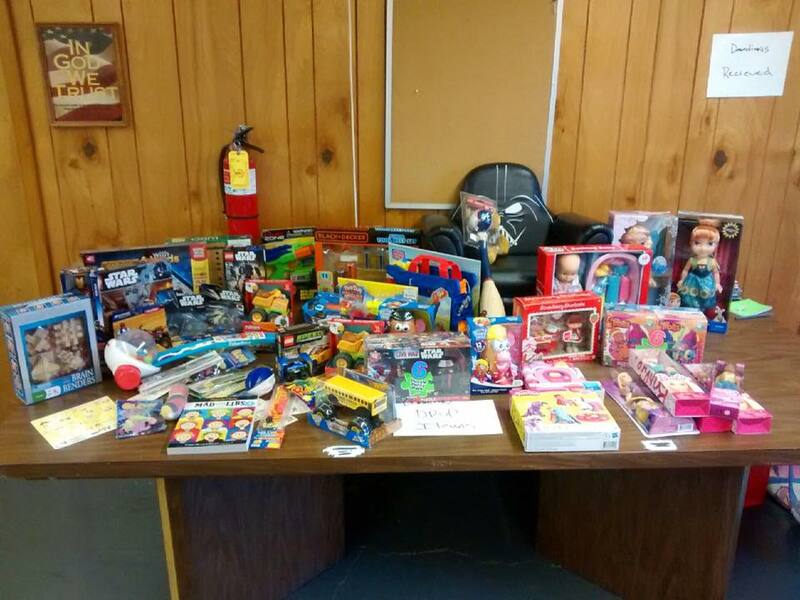 The ETN Team collected toys and monetary donations with the help of surrounding fire department members, law enforcement officers, and residents from Johnson City, Bristol, Bluff City, Blountville, Elizabethton and Piney Flats. 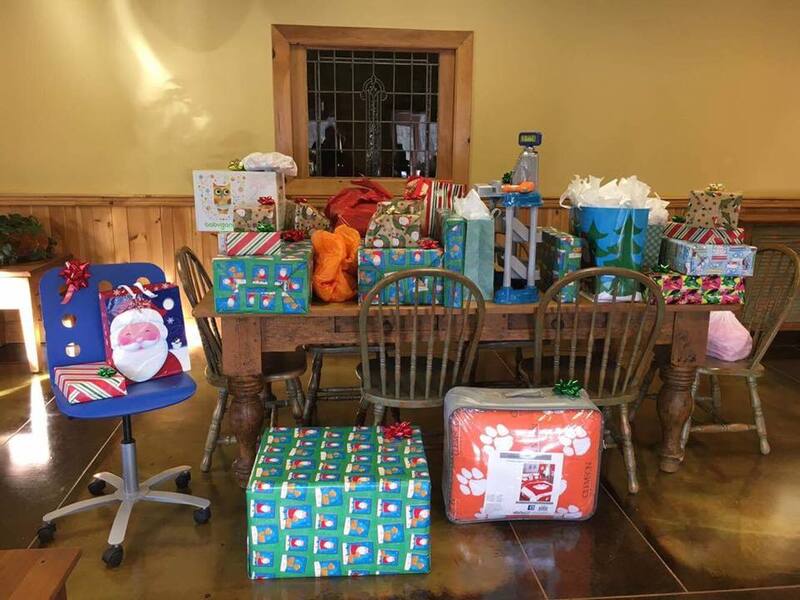 Nearly 400 gifts were gathered for the children, and the Appalachian Animal Hospital took on the task of gift-wrapping them. 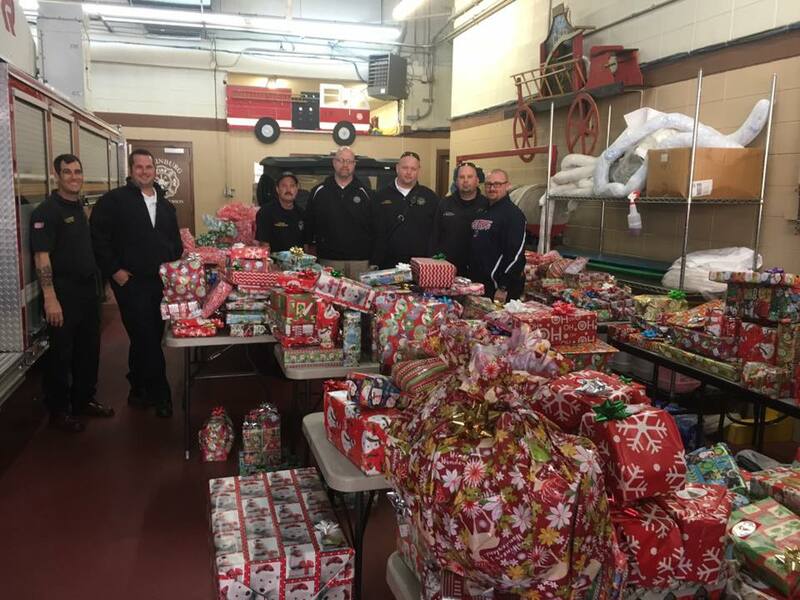 ETN Team Leader, Chadd Landress, and volunteer member, Beau Hurd, transported the truckload of gifts to Gatlinburg Fire Station 1; later, first responders stopped by the station to pick-up gifts for their kids. 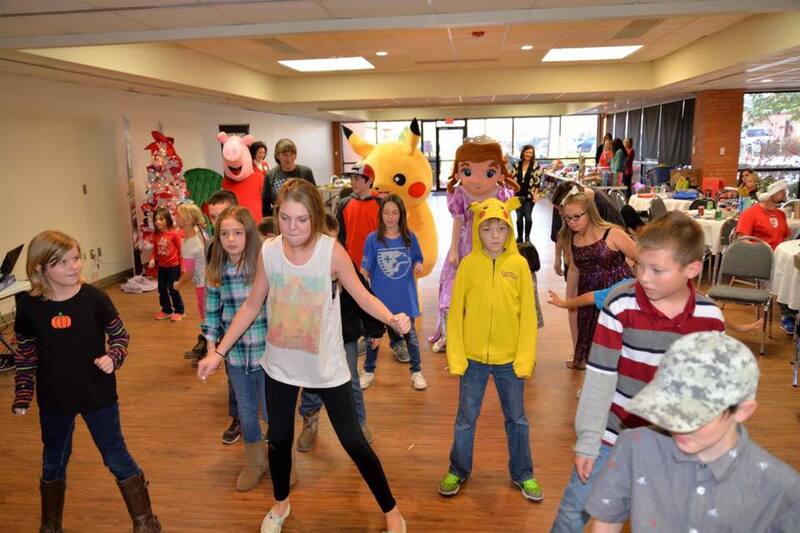 Thank you to everyone for their support in making these children’s Christmas extra special. Visit the Eastern TN Team’s Facebook page for more photos. 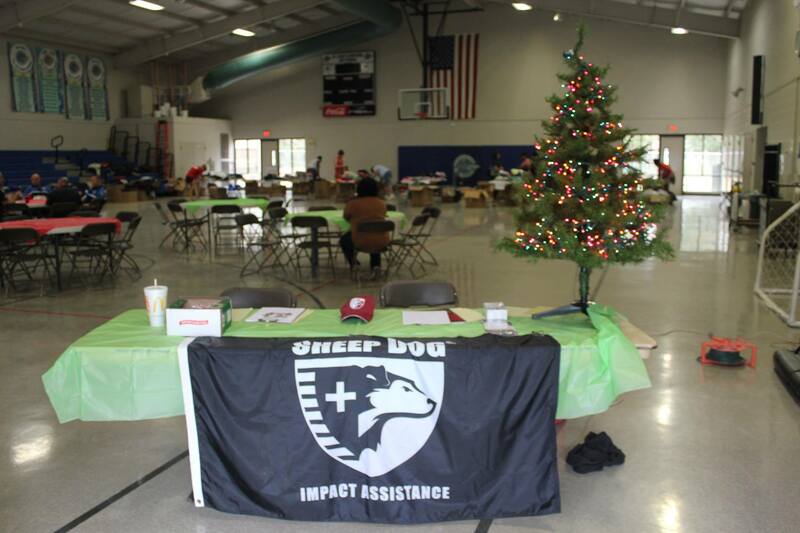 This Christmas season, the Greater Cincinnati Chapter expanded its Christmas Outreach program to include the children of the Baton Rouge, Louisiana, Sheep Dog community that suffered so much after historic flooding and storm damage. 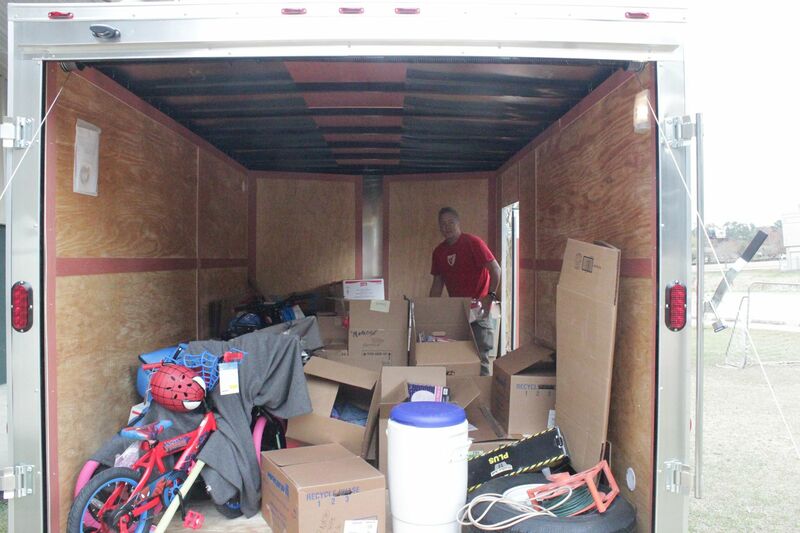 The Chapter filled its brand-new disaster response trailer with more than $9,000 of toys, food and clothing raised by SDIA, local drop boxes, and local business and partner donations. 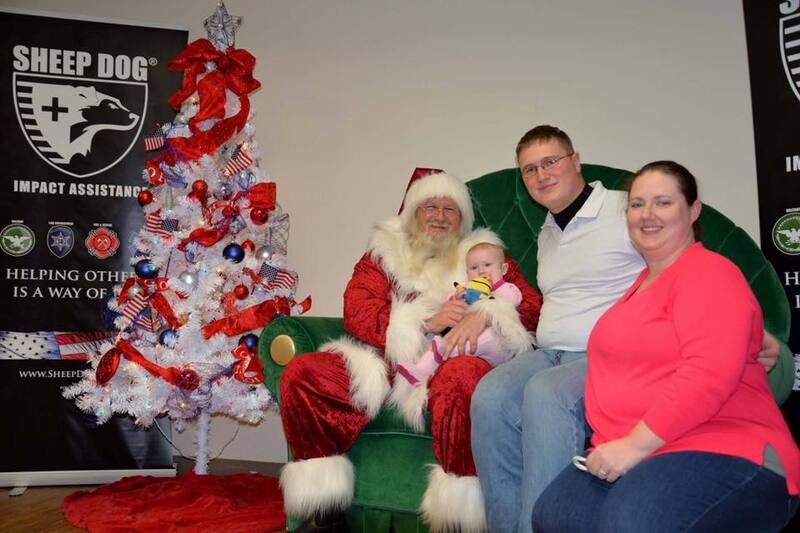 22 families were sponsored, giving over 50 children a merry Christmas. 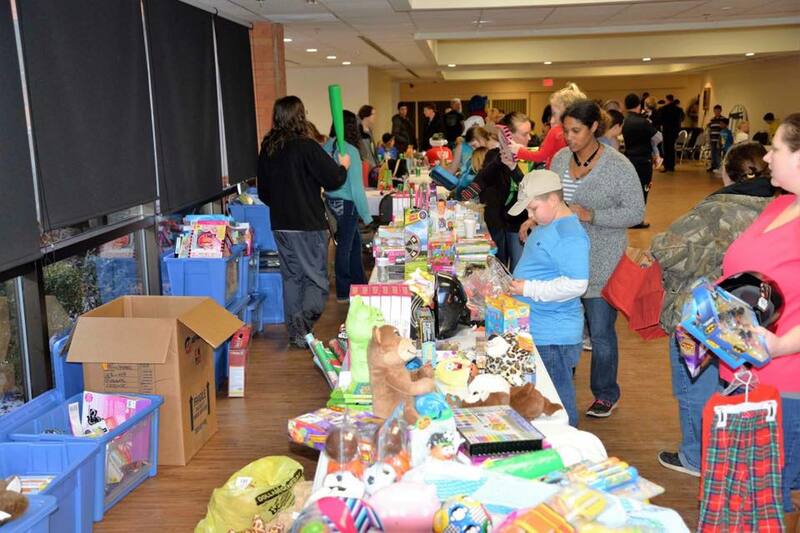 Visit the Greater Cincinnati Chapter’s Facebook page to see more photos of their Christmas Outreach and other efforts. 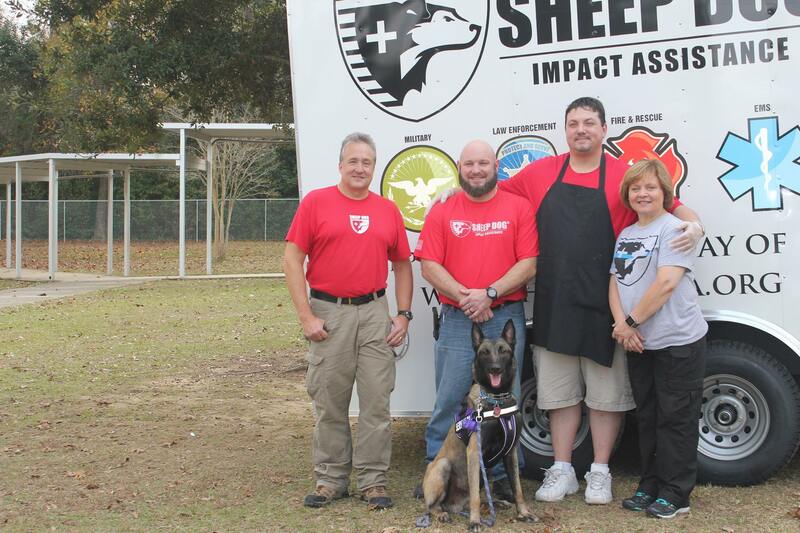 On Christmas Eve 2016, members of the Western North Carolina (WNC) Chapter of Sheep Dog Impact Assistance spread Christmas cheer to their local first responders. 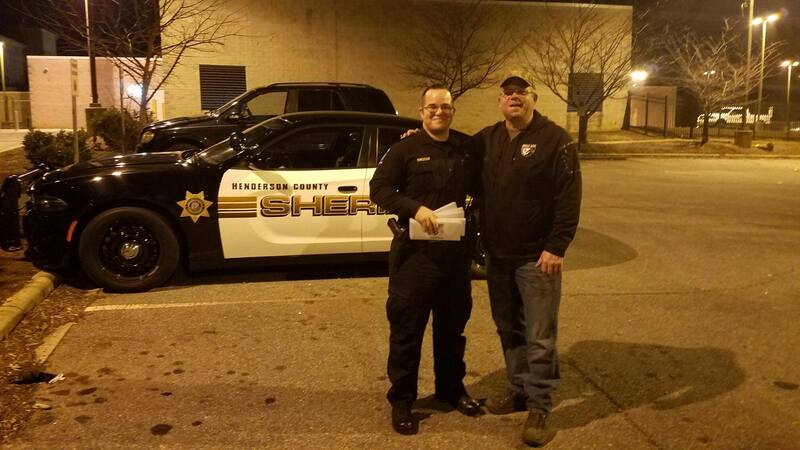 WNC members handed out 110 gift cards to Sheep Dogs working Christmas Eve and Christmas Day at: Henderson County Sheriff’s Department and EMS; Hendersonville Police Department and Fire Department; Transylvania County Sheriff’s Department, Brevard Police Department, Laurel Park Police Department and North Carolina Highway Patrol. 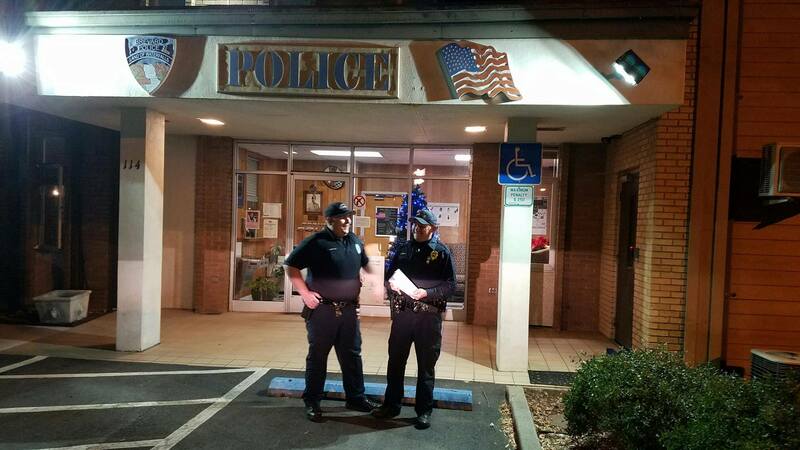 They were honored to show their support for our brothers and sisters in uniform. 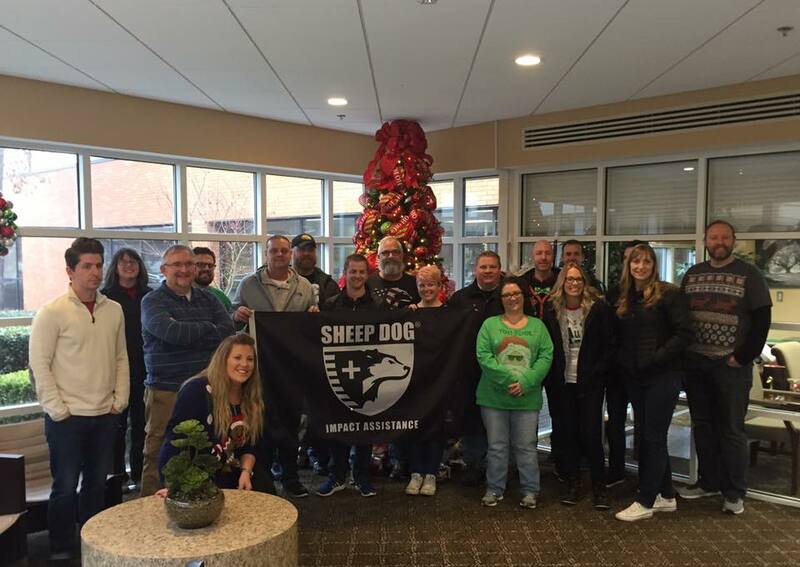 The Chapter also provided Christmas gifts to the children of Sheep Dogs in need, and are grateful for the donations and support of those who contributed to our Christmas Outreach program. THANK YOU! 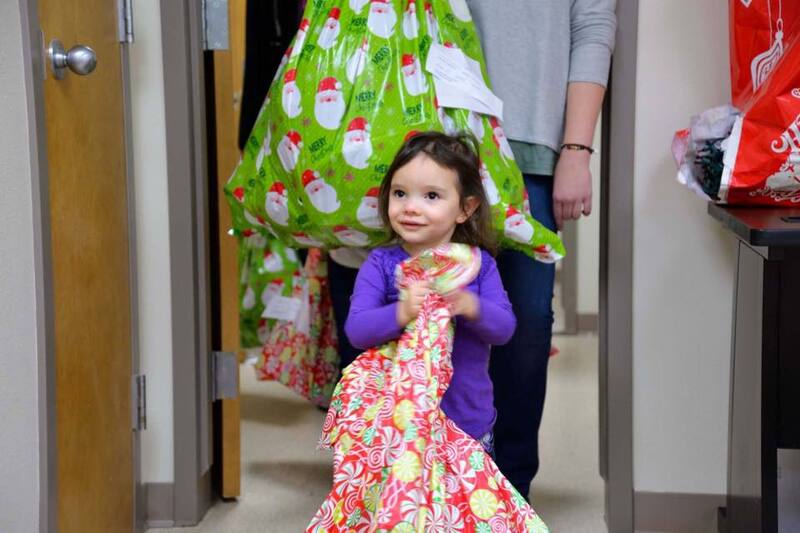 Visit the Western NC Chapter’s Facebook page for more photos from their Christmas Outreach and other efforts. 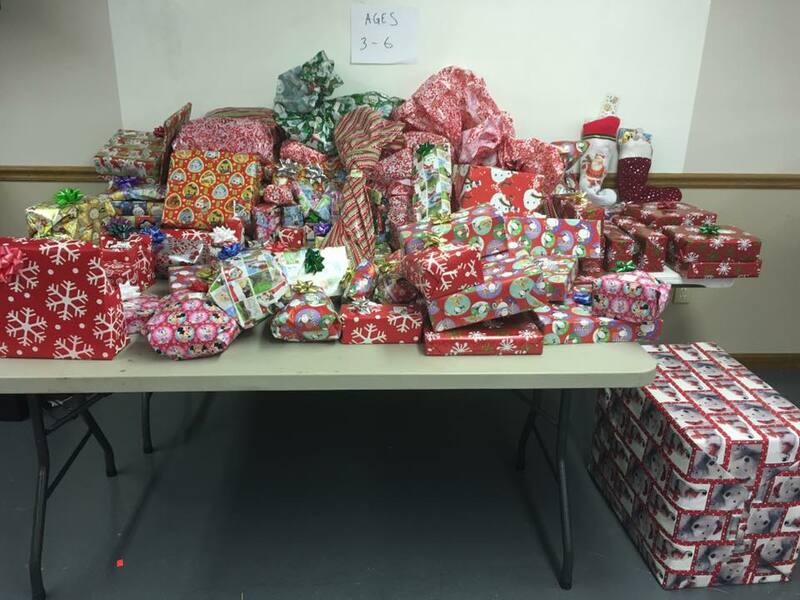 Members and volunteers from the AR River Valley Team were thrilled to make Christmas brighter for a number of children in their area. 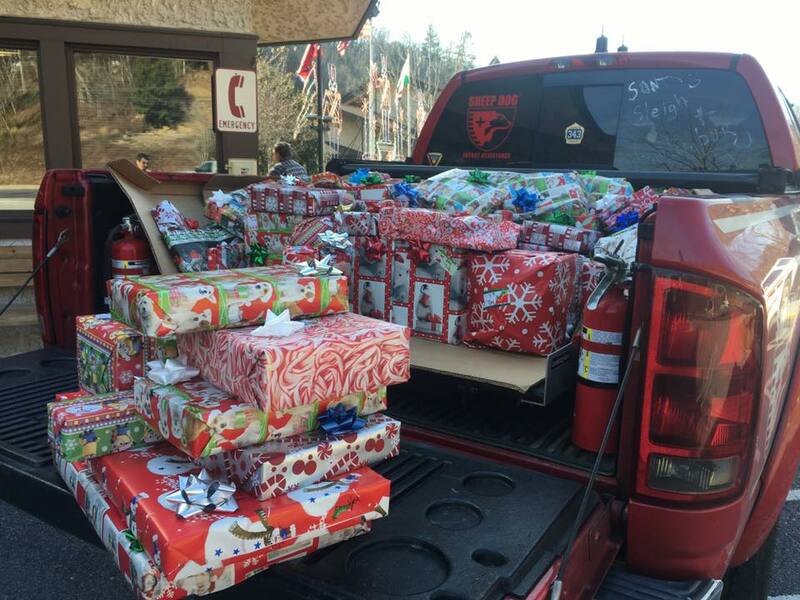 Gifts were collected and wrapped, and the team at Harry Robinson Auto Body assisted with delivery of the gifts. Visit the AR River Valley Team’s Facebook page for more photos.